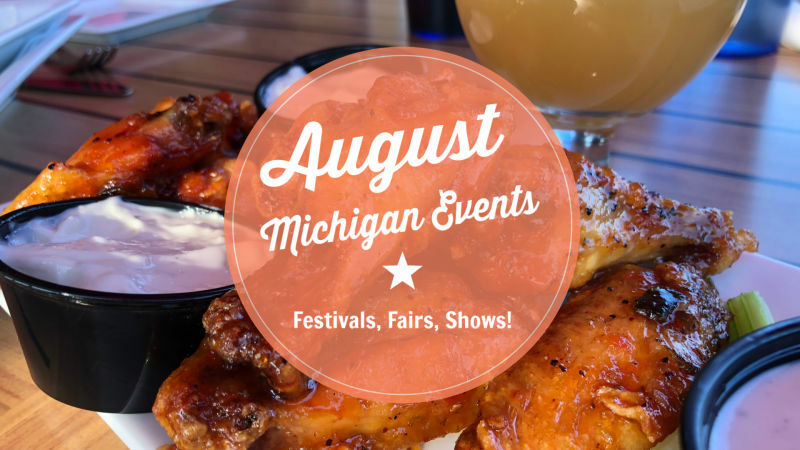 Exciting 2019 June Michigan Events and Things to Do! 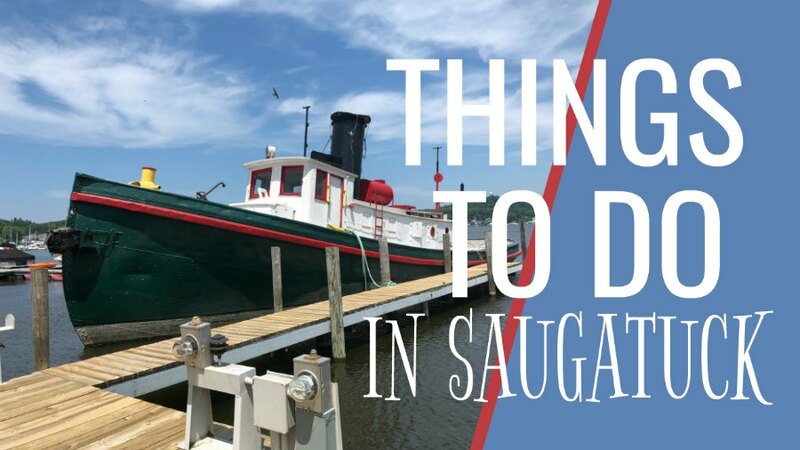 The ULTIMATE SOURCE of 2019 June Michigan events and things to do for families, couples and friends! Grab our Boredom Zapping Ideas for fun in Michigan! 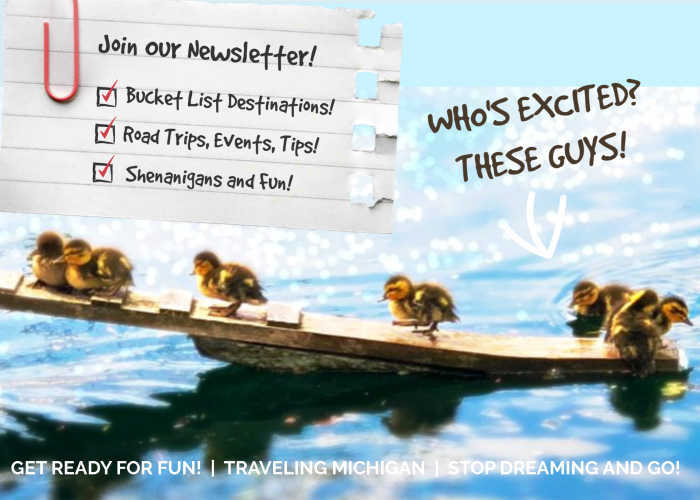 Plan your June Michigan trip or vacation around our inspiring festivals and events! Spring is here and the world is all abloom! I love love seeing all the buds busting open, the grass is finally green and the trees are once again waving their glorious leaves. The world is reborn and ready for exploration and discovery! Join us on Instagram where I've posted all of our June adventures! 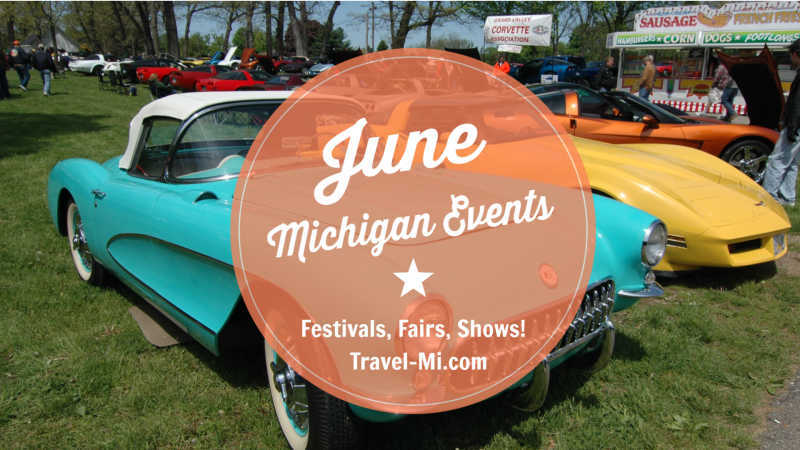 We hope you enjoy our June Michigan events and fun things to do! And as always, if you have an event that you would like listed, let us know here! 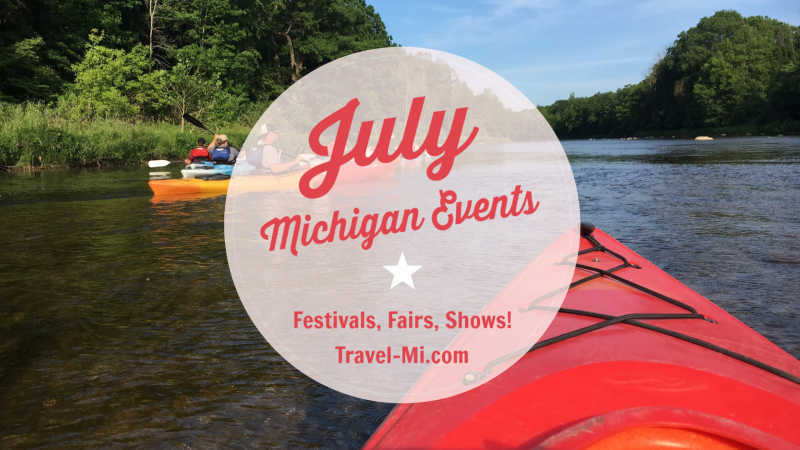 There are so many June Michigan events to see, do and explore!! No way you will be bored! Detroit Belle Isle Grand Prix- May 31-June 2, 2019. The 30th Grand Prix event in Detroit will take place at the Raceway at Belle Isle Park. Buy your tickets early! Shiawassee National Wildlife Refuse Wildlife Drive opens!! Shiawassee National Wildlife Refuge, 6975 Mower Road, Saginaw, MI. The Wildlife Drive is closed to help the refuge with it's most vital function, providing a resting stop (habitat) for migratory waterfowl. The auto tour is scheduled to re-open June 1st, 2019- Sept. 30th, 2019. Midland Antique Festival-June 1-2, 2019 Nearly a thousand antique dealers setup at the Midland County Fairgrounds carrying vintage goods, antiques, collectibles & so much more. Along with the vast array of Antique Dealers is Michigan’s largest swapmeet. Folks from all over bring their garage sale items to the swap meet/flea market area. On top of that is also one of Michigan’s longest running Car Shows! Charlovoix Craft Beer Festival-June 1, 2019, 202 Bridge Street, The Charlevoix Craft Beer Festival is a celebration of Michigan craft beer, local food, and entertainment. It is held annually in beautiful downtown Charlevoix, MI on the first Saturday in June. Annual Mustang Show, June 1, 2019, Tapper Ford, Paw Paw, MI. 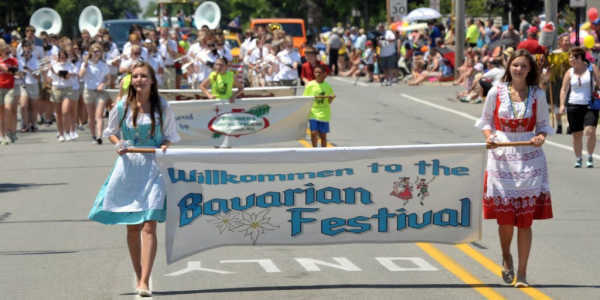 Frankenmuth Bavarian Festival- June 6-9, 2019 in Downtown Frankenmuth. The Main Tent will be located in Zehnder park. Nascar June Races at Michigan International Speedway-June 9 and Aug. 11, 2019. 12626 US-12, Brooklyn, MI. NASCAR’s most entertaining track will host the Monster Energy Series. Ya'Ssoo Greek Festival, June 7-9, 2019, St. Nicholas Greek Orthodox Church, 3109 Scio Church Road, Ann Arbor, MI. Weekend full of Greek music, food, dancing and BAKLAVA!! Matrix Midland Drone Festival, June 8, 2019 at 10:00 a.m.-4 pm. Free! Location: Barstow Airport, Midland, MI. This unique event features an entire day of drones! Featuring professional drone pilots demonstrating the exciting capabilities of drones in both large commercial applications and consumer markets. Longest Breakfast Table and National Cereal Festival, June 8, 2019, 25 McCamly Street, Battle Creek, MI Share in the history of eating breakfast during the FREE World's Longest Breakfast Table! Choose from several Kellogg and Post cereals with your choice in milk or juice; it surely will satisfy your taste buds! Awesome June Michigan event! Riverside Art Festival, Jun 8 – Sun, Jun 9, 2019, 901 Saginaw St, Bay City, MI. Annual YWCA Riverside Art Festival includes over 100 artists lined along Water Street and Center Avenue. Tour the Tawas Point Lighthouse, Tawas, Every Tuesday in June, July and August, 2:00 pm – 4:00 pm, the Friends of the Tawas Point Lighthouse and State Park will be welcoming visitors to the lighthouse for a donation. Visitors are free to tour the lighthouse, ask questions, and climb the tower. A Recreation Passport is required to enter the State Park. Art on the River, Art and Music Festival, Fri, Jun 7 – Sun, Jun 9, 2019. Kiefer Park, Bard St, Port Huron, MI Don't miss this three day art and music festival! Friday night dance party, beer tent with Michigan craft beers and wine available. Cornwell’s Turkeyville, Flea Market and Vintage Fair, June 8, 9, 2019, 18935 15 1/2 Mile Rd, Marshall, MI, Fun June Michigan event! 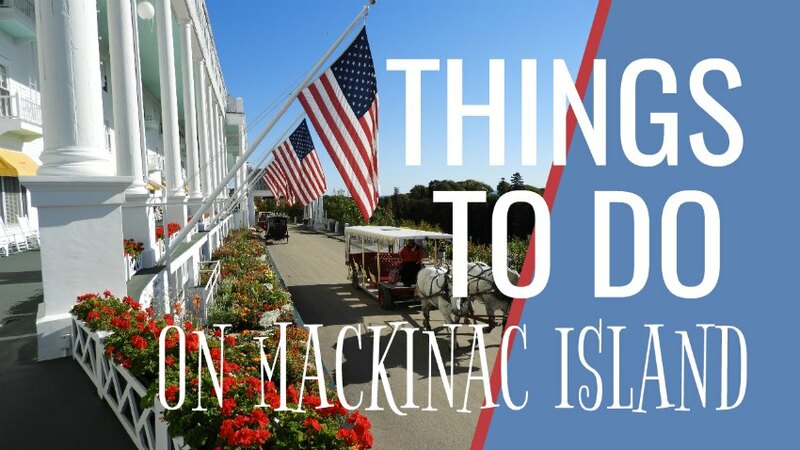 Taste of Mackinac, Thu, Jun 13, 11:30 AM – 1:30 PM, Mackinac Island Tourism Bureau, 7274 Main St, Mackinac Island, MI Taste of Mackinac will be held at the Mackinac Island Community on Thursday, June 13, 2019 from 11:30 AM to 1:30 PM. Fee. Frankenmuth Food Truck Festival, June 13, 2019. Funtown Chowdown, Frankenmuth’s Annual Food Truck Festival is located at Frankenmuth River Place Shops! The fun begins in May and will take place on the second Thursday of each month (May 9, June 13 , July 11, August 8, and September 12) from 3pm – 9pm each date. Harbor Fest, June 14-15, 2019, South Haven. Dragonboat races, games, great eats, entertainment and more! 1100 Aero Dr, Gaylord, MIFrom Mynorthtickets.com: Celebrate our 10 Year Anniversary at an airshow like you've never experienced before! From historical WWII aircraft and vehicles to state-of-the-art modern military assets, pyrotechnics and more See historic World War II aircraft and vehicles to state-of-the-art modern military assets. Ride in a plane or helicopters! Tour aircraft! Craft Spirits Festival and Blues Festival, June 22, 2019 3-9 p.m.109 N. Second Ave, Alpena, MI. Enjoy 20 Michigan Craft Distilleries while enjoying the Alpena Blues Festival! Grab your tickets here! Bay Harbor (Petoskey) Vintage Car and Boat Fest, Sat, Jun 22, 2019, 4000 Main St, Bay Harbor, MI. The Bay Harbor Vintage Car and Boat Festival brings you an amazing showing of cars and boats! Charlevoix Summer Art Show, June 29, 2019, 10:00 AM to 6:00 PM, June 30, 2019 10:00 AM to 3:00 PM, 400 Bridge Street, Charlevoix, MI The show features quality art displayed on the shore of scenic Round Lake Harbor. Lunch in Lavender, 7354 Horton Bay Rd. North, Boyne City, MI Lavender Hill Farm, Boyne City. Lunch in Lavender will take place every Wednesday from June until August except for July 4th. St. Ignace Car Show Weekend, June 27, 2019, 6 Spring Street, St. Ignace, MI. The St. Ignace Car Show is one of the largest all-make, all-model shows in the country. See hundreds of antique, custom, and celebrity automobiles on display. Don't miss Thursday's "St. Ignace Cruise Night" and the "Down Memory Lane Parade" on Friday. Live music, exhibits, vendor booths, and more! South Haven Art Fair, The South Haven Center for the Arts will host the Annual South Haven Art Fair on Saturday, June 29 and Sunday, June 30, 2019 from 10:00 a.m. to 5:00 p.m. The South Haven Art Fair is longest running event in the region! 120 artists! Traverse City Cherry Festival-June 29-July 6, 2019. Airshows, parades, flying pancakes, races, games, bbq, volleyball, car shows, picnics and more! We hope you enjoyed our exciting June Michigan events and fun! Don't miss a moment of June Michigan fun! Join our newsletter to have events and fun delivered directly to your inbox!